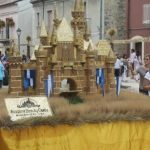 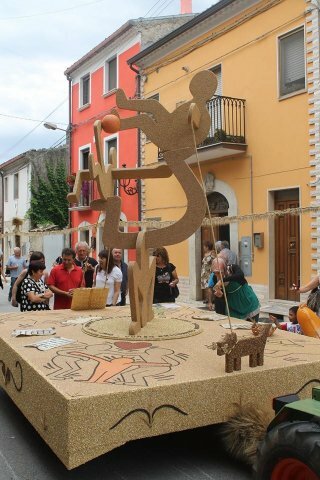 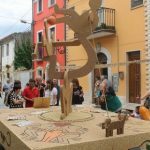 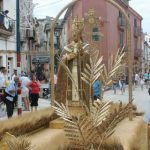 Every year on July 26th, Jelsi, a small town in the Province of Campobasso, celebrates Festa del Grano (Feast of wheat) to honor Saint Anne. 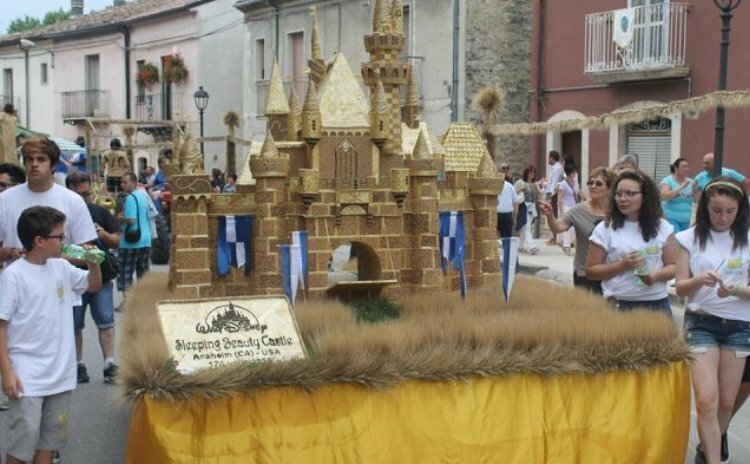 Wheat symbolizes the joy of the harvest. 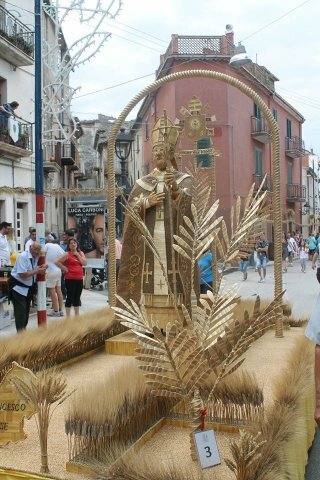 Street and houses are decorated with sheaves of wheat. 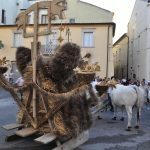 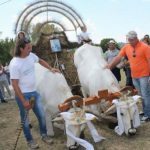 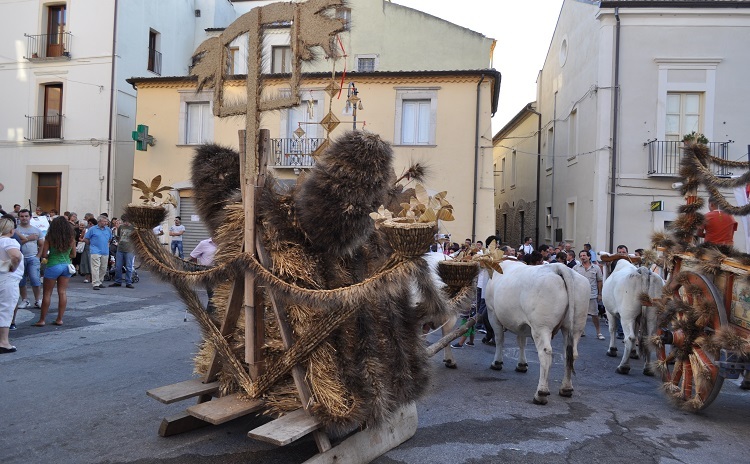 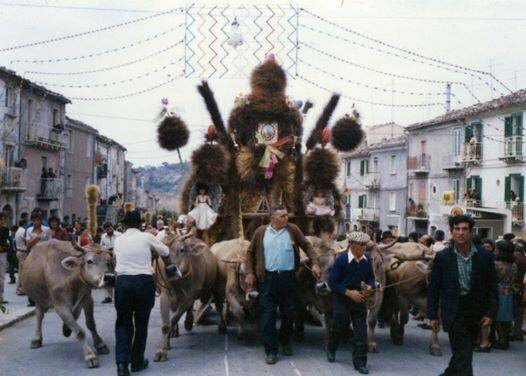 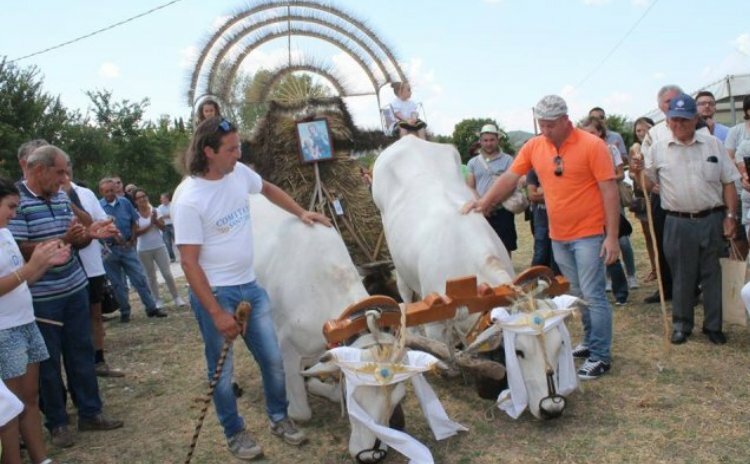 The most peculiar event is the parade with allegoric floats and “traglie“, old means of transportation for the haystacks. 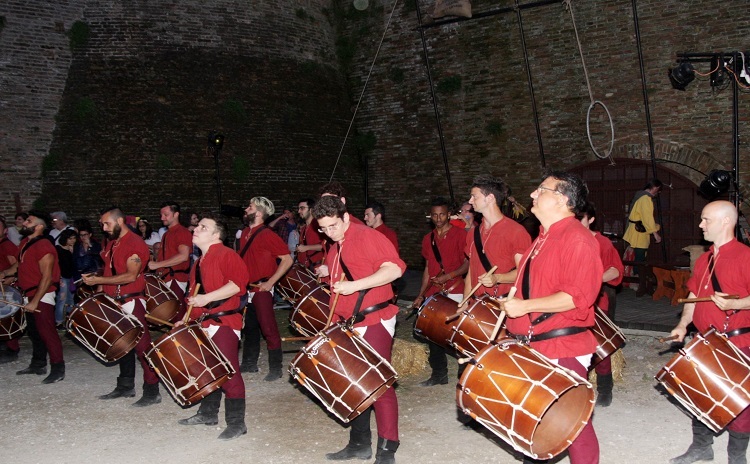 In addition, folk shows, music and fireworks shows. 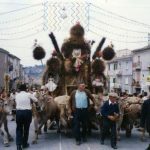 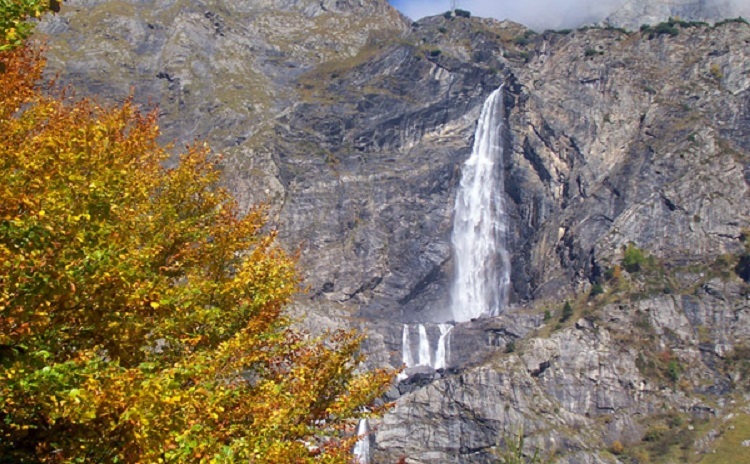 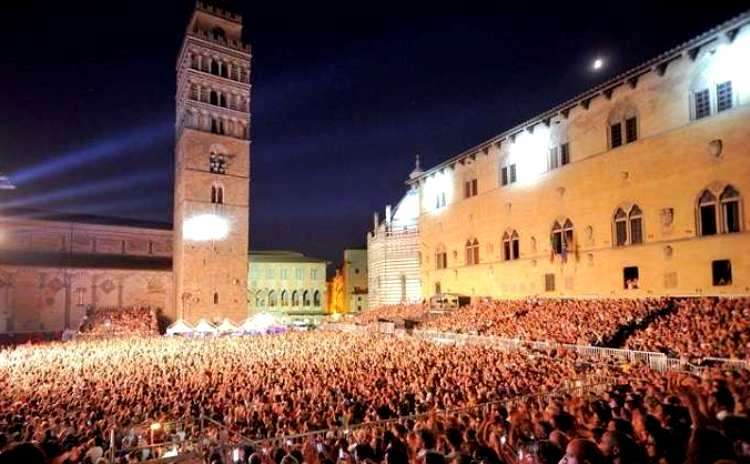 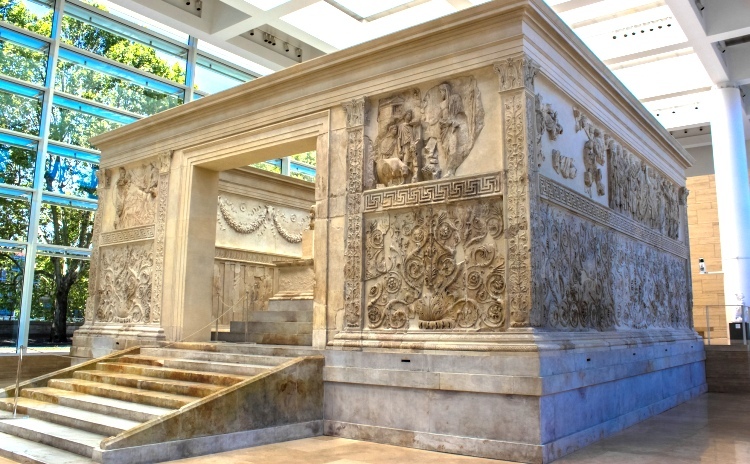 The festival dates back to 1805, when the tradition says that Saint Anne protected Jelsi during a terrible earthquake. 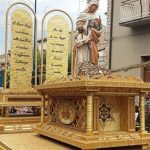 From then on, Saint Anne’s statue is carried in procession every June 26th. 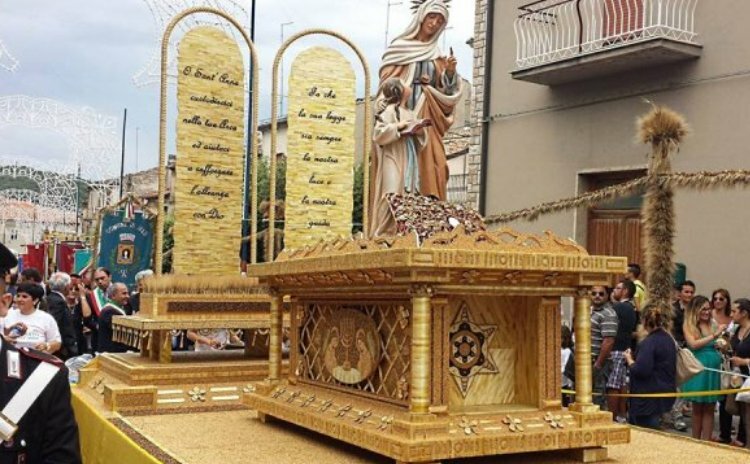 The tradition of the Feast of Wheat is to ask Sant’Anna the protection from any bad event offering her grain ears.